Meta description tag is very important to display your blog on top in Google and other search engines search results. 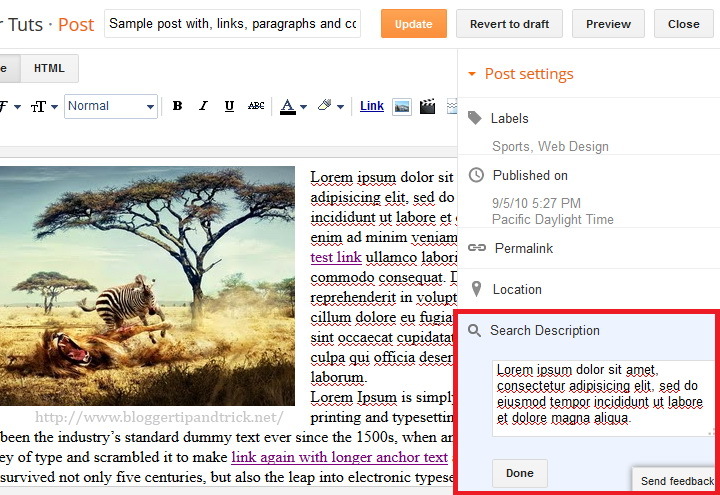 Now adding meta tags to each blogger post is easy. Blogger officially supporting for this. 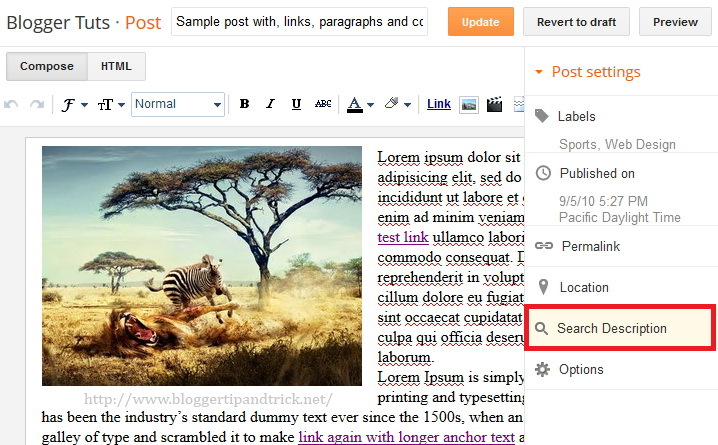 Follow the steps below add meta descriptions for your blogger posts. First go to "Settings" -> "Search preferences". Click on "Edit" link of "Meta tags" section. Clicks on a "Yes" radio-button to enable search description. Enter a meaningful meta description into textarea and save changes. Go to create a new post or go to edit your existing post. Now you can see new option called "Search Description". Click on "Search Description" option add your meaningful meta description into the textarea. After that click on "Done" and publish/update your post. Now you have successfully added a meta description for your post.